Ok, the picture above is of Tim’s sunflower, made from combine equip, rebar and other miscellaneous farm equipment. 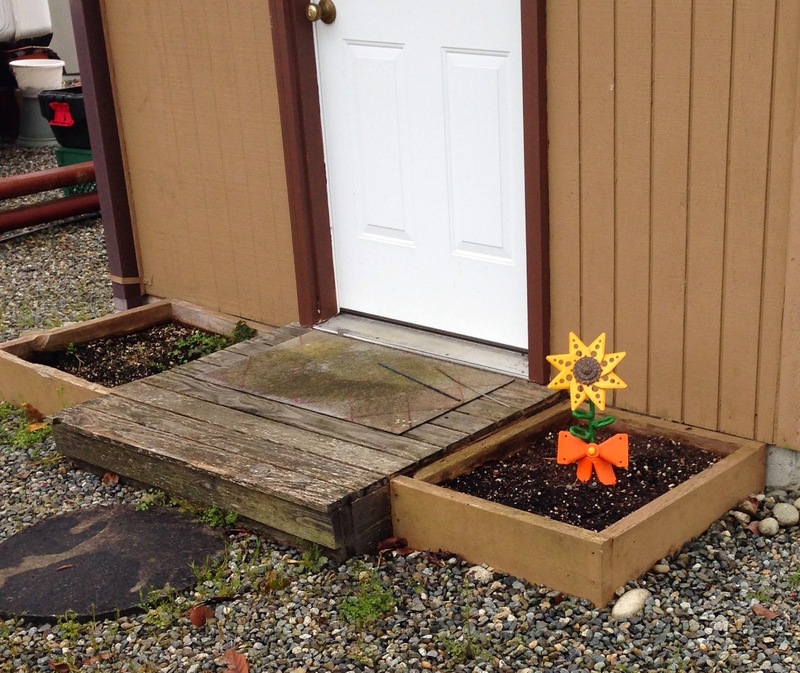 I’ve carried this in my rig for the last 1 1/2 years, it now adorns this little patch of dirt outside my shed. Since this picture, I have pulled the weeds, changed out the mat, finished organizing my shed. Might plant some tulips and daffodils here. A bit of surprising news. My surge protector is now reading 122 at my new lot. Whereas at my old lot, the low was 127 (with high at 132). Am I thinking correctly, that the old lot might have an issue vs my surge protector being the issue? I will ask Progressive tomorrow this very question. Folks are heading north, due to it being too hot down south. A lot of folks came in this weekend, all glad to be back to cooler climes. I got 3 days left on my rental car. I’m going exploring once again. Will try to take some photos. Like the Flower. Now he is into Stain Glass. Glad your getting settled..